‘Where’s my crotch? !’ Airborne has seen better days. It is probably the second most common ailment the 3 3/4-sized G.I. 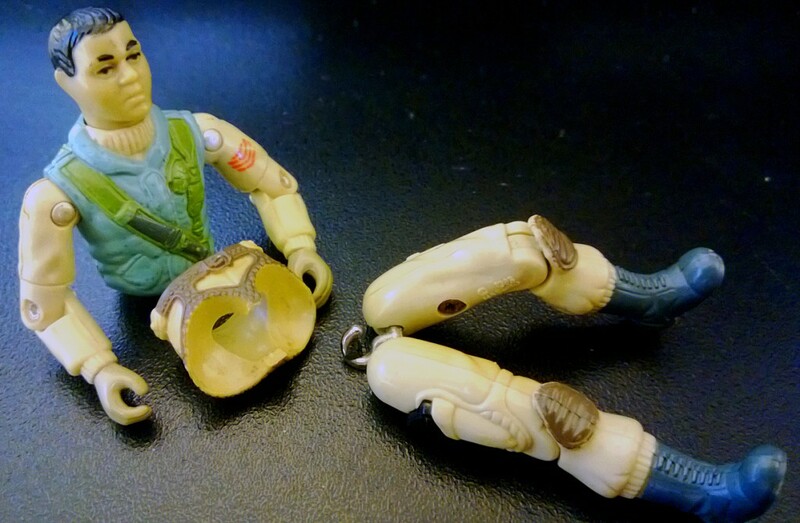 Joe action figures: Crotch Breakage. I can’t say when Airborne originally suffered from this horrific disease. It likely fell off some 20 years ago, back when he was regularly used. If I recall properly, he was one of my brother’s figures. I eventually adopted him. Fixing him was fun. Perhaps because I vividly remember him being a part of our G.I. Joe adventures. 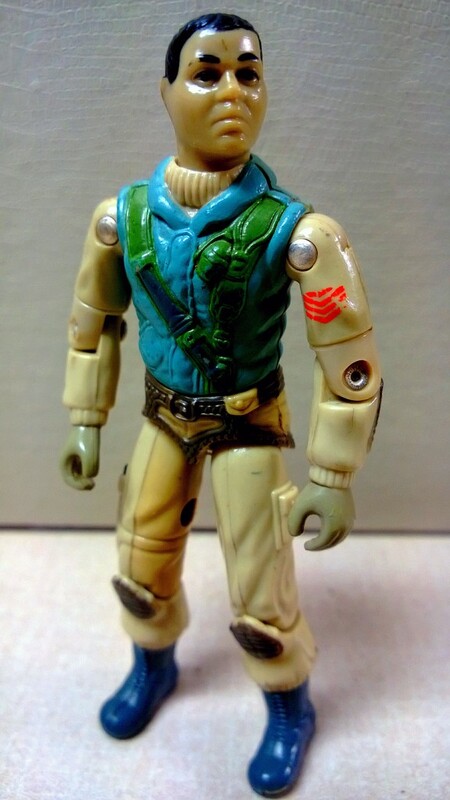 Part of the 1983 crew, he used to party with Duke, Scarlett and original Snake Eyes. So it was nice to see that I still had his key parts (torso, waist and legs). Getting him to fit together right was a challenge. I think perhaps my o-ring is too thick for him. Perhaps its because its an earlier figure, or just this particular one. I may swap it out for a thinner on in the future. His backpack, rifle and helmet are long gone (see them here). Airborne’s crotch problem remains something I would like to fix, though. I’ve been on the hunt for a new waist for him, so stay tuned for a possible update on his condition. I’ve also decided to use him as a test subject on an experiment to make his “reassembly” that much better. More on that later this week.